Welcome to the Glens Falls Rotary! I'm so delighted that you dropped in to visit! We are a really fun, energetic and diverse group of people. Our club was founded in 1922 and it continues to represent the highest ideals through its service-oriented programs both at home and abroad. Our club meets every Thursday at twelve-fifteen, at the Queensbury Hotel in downtown Glens Falls, NY and offers our members (100+) and guests the highest level of spirit, fellowship and opportunity for community service. Please see the directions to our meeting place on our website home page. Our club is active in world community service projects around the globe. 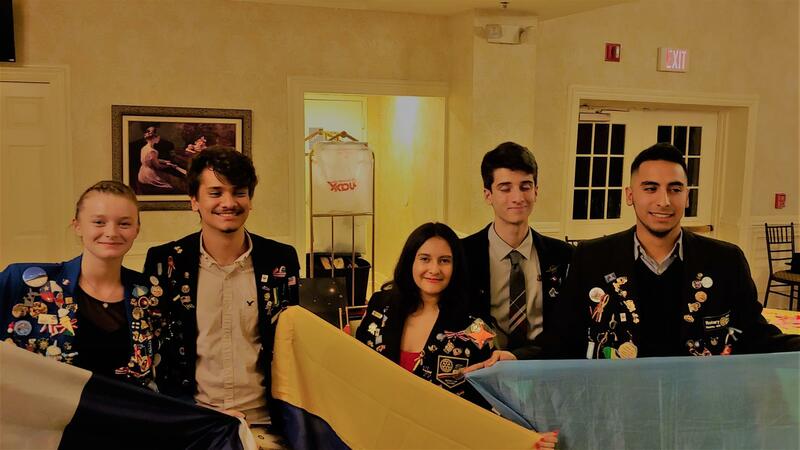 For example, we have been active for many years in the Youth Exchange Program in which we host incoming high school students from foreign lands and sponsor outbound students from our area who represent our club and district via residence in countries around the globe. Visit our Youth Exchange area here in our site to learn more about the students we are sponsoring this year. Also, we provide a Community Service Scholarship to be given annually to deserving senior graduates in the communities of Glens Falls and Queensbury. To learn more or to apply, go to the Scholarships page in the Our Projects area. We are also very proud of the work that is being done by our members to help save children’s lives in third world countries. In the past several years, our club has raised over $200,000 and invested also with human resources to assist the people of Honduras and Haiti bring clean water to the families of these countries. If you would like to help or seek more information on this humanitarian effort, please visit our Our Projects section to learn more. Locally, we have a variety of very worthwhile community outreach programs that we support each year. Here too, you can find information available on the programs we sponsor and support throughout the Glens Falls/Queensbury area. Visit our Our Projects pages to find useful information and sources of help. The Rotary 5K Corporate Challenge is a run/walk held each year in mid-April at SUNY Adirondack. This year, race day is April 13, 2019. The course winds around the exterior of the campus, providing scenic views of the campus, as well as, surrounding mountains and countryside. Race registration is available at www.active.com. Click here to register https://endurancecui.active.com/event-reg/select-race?e=57511154 or by hard copy printable applications available on the club website home page at www.glensfallsrotary.org. On July 30, 2018, at 6am, 2 women began a swim to cover the entire length of Lake George to bring awareness and raise funds about Polio. They started their swim at Million Dollar Beach with a goal to end at Diane's Rock at 6am on Tuesday morning (24 hours of swimming). This was HUGE! To learn more or donate please click this link http://bit.ly/SwimToEndPolio. 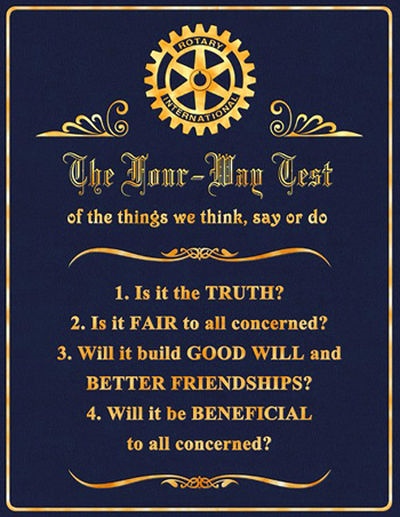 History of Glens Falls Rotary Club - Who Are We? The Rotary Club of Glens Falls, NY came into existence in 1922 when Rotarians from the Troy area recruited 25 of the top community leaders to form our organization. Men like Frank Smalley, C.V. Peters, Elmer West, Fred Chapman, and J. Thacher Sears were among the most prominent members of the local manufacturing, educational, theological and publishing industries. Other Charter Members were from the top of the legal and medical professions, public accountants, contractors, bankers and insurance representatives. Today, almost 100 years later, the Glens Falls Rotary still attracts the cream of the community. We are a diverse mixture of men and women from all walks of life. The only criteria that measures us is our desire toward service and the aspiration to make ourselves, our community and our world a better place for all. The President of the Rotary Club of Glens Falls for 2004-2005 year was Ray Agnew. He attended the Rotary International Convention in Osaka, Japan that year and came back to the club excited about different opportunities for service that he’d learned about. Amongst these were water-related projects. He asked club member, Kay Walter to form a committee to explore how the club could become involved and the wheels were put in motion. The Water Committee forged a link with a Rutland, Vermont-based organization called Pure Water for the World (PWW). They had started life as a club project of a Brattleboro, Vermont Rotary Club and had outgrown one club’s resources. The project involved supplying bio-sand water filters to villages in Central America and has morphed into an NGO (Non-Governmental Organization) that offers a suite of water, sanitation and hygiene solutions. Those solutions supplied by PWW now include: installation of water filters, building latrines, hygiene education, field technician training, water testing and education amongst many others. We also meet every first and third Tuesday at 7:30 am at Spot Coffee on 221 Glen Street, Glens Falls, NY. Stop by and enjoy a bagel, coffee, and some early morning fellowship with us.